Unicorns were popular in the ’80s and ’90s, but who would have guessed they’d see such a huge comeback. Between the unicorn hairstyles and makeup, rainbow-colored unicorn snacks, and unicorn Frappuccinos, fantastical, magical unicorns are everywhere! So naturally every kid wants a unicorn themed birthday party. 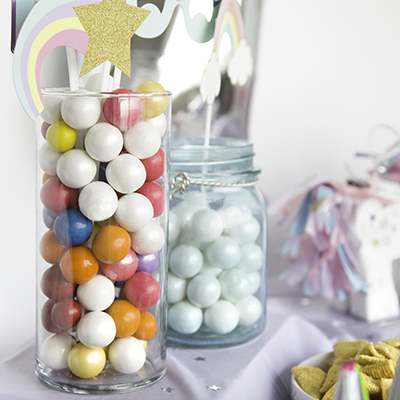 We had so much fun putting together these epic unicorn party ideas, complete with rainbow candies and unicorn themed party games. 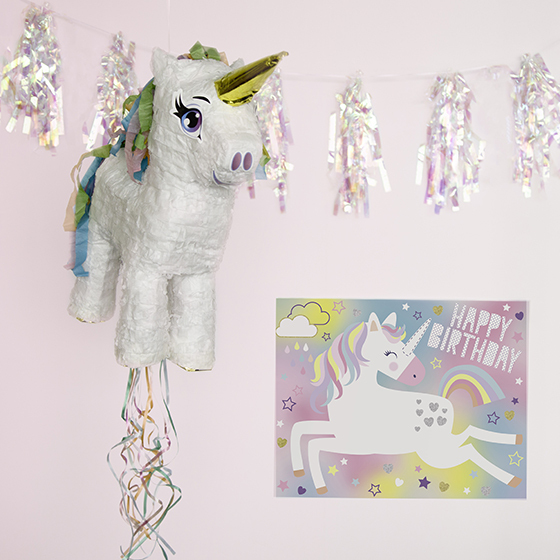 Having ultra-flashy unicorn party decorations is a must! We used a shiny Iridescent Tassel Garland to add extra shimmer to the party space. A giant Silver Foil Number Balloon to match the guest-of-honor’s age is great for personalizing the party. 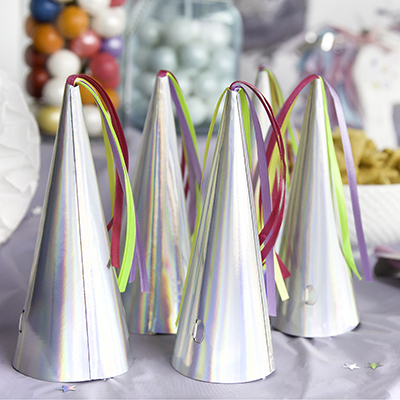 Just pop our Mini Unicorn Pinata Favor Decoration on the table as a sweet centerpiece, or get one for every guest and fill them with surprise treats. 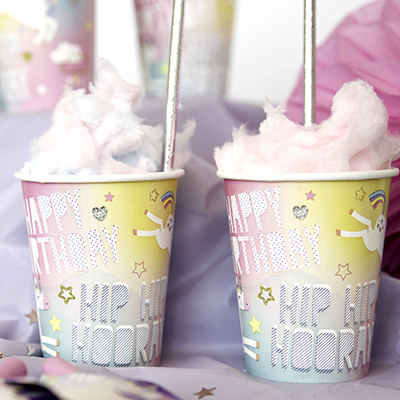 Like any good party, a unicorn birthday bash needs snacks, snacks, and more SNACKS! We opted for colorful candy and horn-shaped corn chips displayed in clear glass vessels, but you could also create rainbow fruit or marshmallow cereal treats. 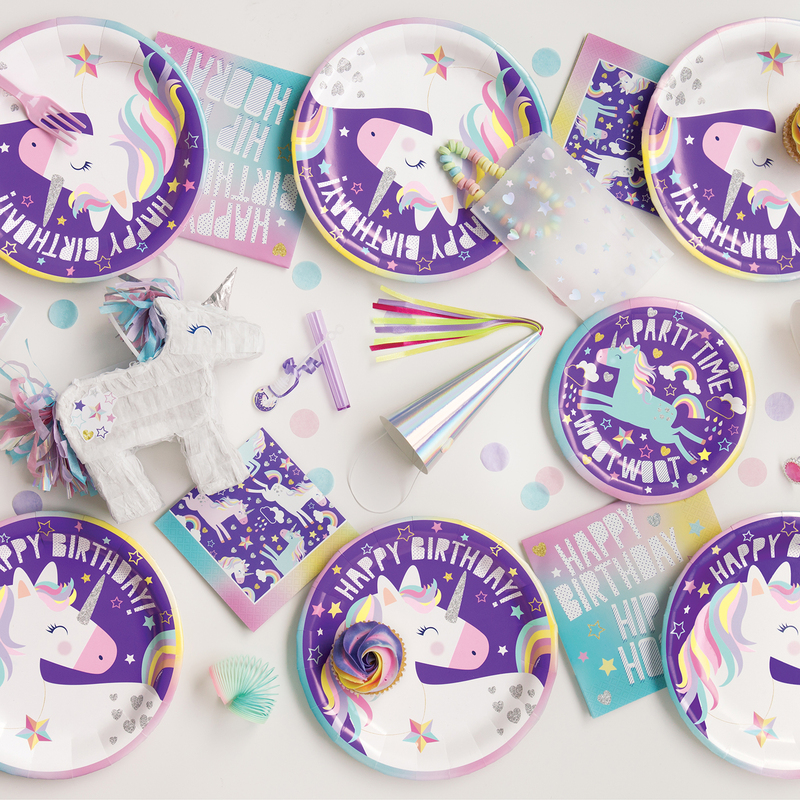 Our bright unicorn party plates, cups, and paper napkins are perfect for dishing it all out in fabulous fashion. Keep everyone entertained with our Unicorn Pinata – just fill it with candy and favors before playing. Pin-the-Horn-on-the-Unicorn also makes a fun and easy activity for kids of all ages. Need Unicorn party favors? We’ve got those, too! 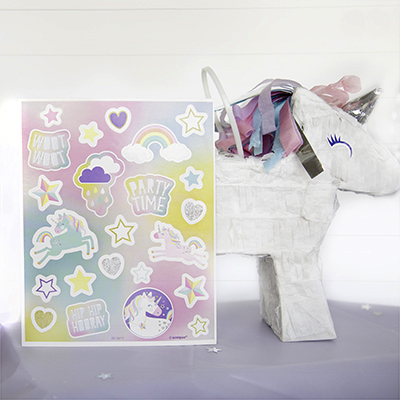 Unicorn stickers and party blowers are just what you need to fill up goodie bags. 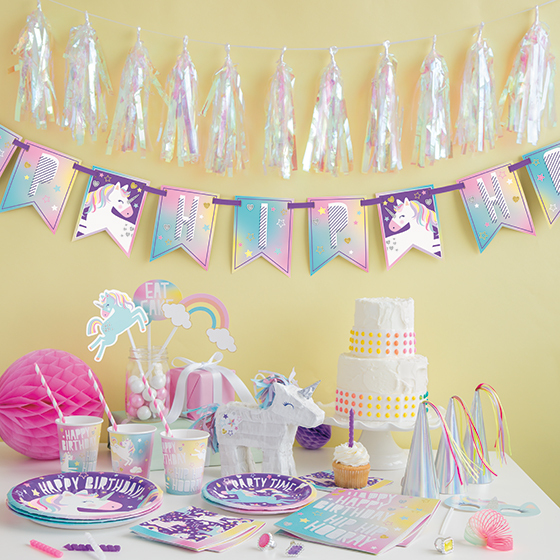 You can find all these cute and colorful unicorn party supplies, decorations, and accessories online or in your local party store.